In 2013, the Naval Historical Foundation (NHF) initiated the Commodore Dudley W. Knox Award to acknowledge a lifetime body of work that embraces scholarship, leadership, and mentoring in the field of naval history. The inaugural presentation during the 2013 Naval Academy McMullen Naval History Symposium included Dr. Phillip Lundeberg, Dr. James Bradford, and Dr. William Still. At the 2014 National Maritime Symposium held in Norfolk, NHF honored Dr. John Hattendorf, Dr. Craig Symonds, Dr. William Dudley, and Dr. Harold Langley. Returning to Annapolis in 2015, NHF recognized Dr. Dean Allard, Dr. Kenneth Hagan, and Lt. Cdr. Thomas Cutler. In 2016, we honored Mr. Christopher McKee during the North American Society for Oceanographic History conference in Portland, Maine. At the 91st NHF Annual Meeting held 3 June at the Washington Navy Yard, we announced that Dr. Jon Sumida, Commander Paul Stillwell, and Dr. Edward Marolda are this year’s prestigious Knox Award recipients. 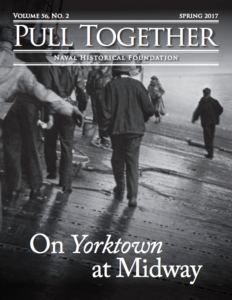 The formal presentation of their award will occur at an awards banquet held at the conclusion of the forthcoming McMullen Naval History Symposium at the U.S. Naval Academy on 14-15 September. Details on purchasing tickets for the banquet will be announced soon. Jon T. Sumida is a meticulous and demanding scholar and teacher who has had a major impact on the study of naval history for more than three and a half decades. His first article, “British Capital Ship Design and Fire Control in the Dreadnought Era: Sir John Fisher, Arthur Hungerford Pollen, and the Battle Cruiser,” Journal of Modern History (June 1979), shook the foundations of British naval historical scholarship with his new (and still controversial) but exceptionally well-researched re-interpretation of the early 20th century Royal Navy. 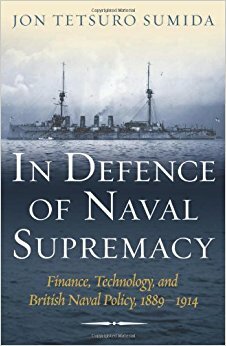 His first book, In Defence of Naval Supremacy: Finance, Technology and British Naval Policy, 1889-1914 (Boston: Unwin Hyman, 1989; paperback edition, London: Routledge, 1993; paperback reissue, Annapolis, MD: Naval Institute Press, 2014), pioneered a new approach to understanding the relationship between finance, technology, and naval strategy and policy. It is still considered a major contribution to both the substance of British naval history as well as a pioneering methodological approach to naval and military history in general. His second book, Inventing Grand Strategy and Teaching Command: The Classic Works of Alfred Thayer Mahan Reconsidered (Washington, D.C.: Wilson Center Press/Baltimore: The Johns Hopkins University Press, 1997; paperback edition, 1999); selected title, U.S. Marine Corps Professional Reading Program, colonel to general, offered a significant new interpretation of Mahan’s writings that has remained in print and in classroom use in universities and war colleges for more than 18 years. His third book, Decoding Clausewitz: A New Approach to On War (Lawrence, KS: University Press of Kansas, 2008; paperback edition, 2011), has been a selected title in the U.S. Marine Corps Professional Reading Program, colonel to general (2009-2012), and a selected title in the U.S. Marine Corps War College list of top ten military books published 2000-2010. He also published more than thirty major scholarly articles and book chapters in such major scholarly journals as The Journal of Military History, The Naval War College Review, The International History Review, Naval History, and The Journal of Strategic Studies. Seven of them (“A Matter of Timing: The Royal Navy and the Tactics of Decisive Battle, 1912-1916,” “The Sources of Naval Mythology: Sir John Fisher and the Dreadnought,” “British Naval Operational Logistics, 1914-1918,” “Sir John Fisher’s Naval Revolution,” “The Best Laid Plans . . .: The Development of British Battle Fleet Tactics, 1919-1942,” “Forging the Trident; British Naval Industrial Logistics, 1914-1918,” and “Challenging Parkinson’s Law”) have all made major contributions to our understanding of naval operations and tactics. He has also authored more than ten additional contributions to such publications as The Reader’s Companion to Military History as well as written fifty-nine book reviews for major historical journals. He is among the naval history profession’s most honored scholars, having received Moncado Prizes from the Society for Military History for articles published in the Journal of Military History in 2004, 1995 and 1993; the 1996 Naval History Author of the Year from the United States Naval Institute; two fellowships from the Woodrow Wilson International Center for Scholars (September 1995-August 1996 and March-August, 1986); as well as the prestigious John Simon Guggenheim Foundation Fellowship (1990-91). As a mentor and teacher, Sumida has also had a profound impact on both the history profession and the profession of arms. In addition to rising from lecturer in 1980 to full Professor of Military and European History, University of Maryland, College Park in 2013, he has served as Visiting Lecturer, School of Advanced Warfighting, U.S. Marine Corps University, Quantico, Virginia, from 2003 to 2015. He has also served as the prestigious Major General Matthew C. Horner Chair of Military Theory, U.S. Marine Corps University, 2004-6; and Visiting Distinguished Professor, Department of Military Strategy and Operations, National War College in Fall Semester 2000. Dr. Sumida has also been a leader in the scholarly community at large. He served as Program Chairman for the 2004 Annual Meeting of the Society for Military History in Bethesda, Maryland; as a member of the Leavenworth Prize Committee, U.S. Army Command and Staff College, 2001-2006; and on the Editorial Advisory Board, Journal of Military History, 1992-1997. Most significantly, he served on the Department of the Army Historical Advisory Committee (DAHAC) from 2000-2006 and was the DAHAC chair from 2003-6, for which service he was awarded the Outstanding Civilian Service Medal, United States Army, on 27 March 2007. Vincent Houghton, Ph.D. 2014, who wrote on “The Principle Uncertainty: US Atomic Intelligence, 1942-1949,” and is now the historian at the International Spy Museum. CDR PAUL STILLWELL is currently a free-lance historian. He has a B.A. in history from Drury College, Springfield, MO, and an M.A. in journalism from the University of Missouri. He enlisted in the Naval Reserve in 1962, served in Washoe County off Vietnam and in battleship New Jersey. He retired as commander in 1992. 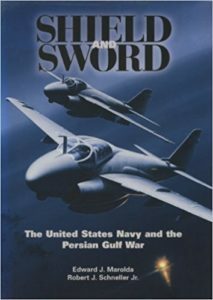 His final active duty involved oral history collection in the Persian Gulf in 1988. In late 2004 he completed a 30-year tenure with the U.S. Naval Institute. From 1974 through 1981 he was with the monthly Proceedings magazine. From 1981 to 1987 he was editor of the annual Naval Review issue of Proceedings, and from 1987 to 1992 he served as first editor-in-chief of Naval History magazine. For 23 years he wrote a column for each issue of Naval History. 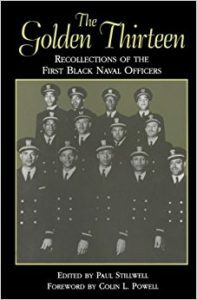 From 1993 to 2004 Stillwell was director of the Naval Institute’s history division. He has authored or co-authored a dozen books and countless articles. The New York Times selected his The Golden Thirteen as one of the notable books published in the field of history in 1993. Stillwell has conducted hundreds of oral history interviews that are heavily used by scholars and has mentored individuals and conducted workshops on interviewing techniques. He has appeared in numerous television documentaries. In addition to The Golden Thirteen, he has authored or edited 11 other books: Air Raid: Pearl Harbor! (1981); Battleship New Jersey (1986); Battleship Arizona (1991); Sharks of Steel (coauthored with Vice Admiral Robert Kaufman, 1993); Assault on Normandy (1994); Battleship Missouri (1996); Battleships (2001); Carrier War (2002); Submarine Stories (2007); Aviation Art of World War II (coauthored with James Kitchens and G. E. Patrick Murray, 2008); Trailblazer: the U.S. Navy’s First Black Admiral (coauthored with Vice Admiral Samuel L. Gravely Jr., 2010). Edward J. Marolda had a distinguished career at the Naval Historical Center/Naval History and Heritage Command. 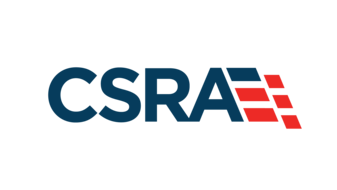 Beginning as a staff historian in 1971, he oversaw the acquisition and processing of naval records from the Vietnam War, assisted researchers, and authored or co-authored four books on the war. Promoted to Head of the Contemporary History Branch, 1987-1996, he oversaw establishment of the “U.S. Navy Contemporary History Program” which produced over thirty monographs, directed the “Colloquium on Contemporary History Conference Series” which organized and sponsored a dozen conferences on naval affairs past and present, and provided advice and support to naval historians researching in the post-World War II era. Marolda capped his career by serving as Acting Director of Naval History from January to May 2008. Upon retirement from government service, Marolda became an Adjunct Professor in Georgetown University’s Continuing Education program, teaching, since 2008, a course entitled “China, the United States, and the Cold War Confrontation.” He has also served as a committee member for several graduate students at Georgetown and continued to assist graduate students and academics from other institutions with research advice. Marolda is the co-compiler of three reference works which have become stand tools for students and scholars in naval history: A Bibliography of the United States Navy and the War in Southeast Asia, 1950-1975; A Select Bibliography of the United States Navy and the Southeast Asian Conflict, 1950-1975; and a Guide to United States Naval Administrative Histories of World War II. Dr. Marolda has been an active member of several historical associations, including the Society for the History of American Foreign Relations; Society for Military History, U.S Maritime Historical Society, U.S. Commission of Military History, and the North American Society for Oceanic History and was elected to serve on the governing councils of the latter two organizations. He has also presented over forty papers at professional conferences in the United States and abroad and served on organizing, local arrangements, and program committees for a dozen professional meetings. In addition to his assistance to naval historians and work with historical organizations, he has contributed to public awareness and knowledge of naval history through public presentations over radio and TV, as a consultant and on-camera authority for several documentaries and news programs, and by directing a workshop for high school teachers that addressed ways to incorporate naval history material in their classroom teaching. In addition to his publications for specialists—books (partial list below) and over thirty journal articles and book chapters—he has published articles in popular magazines such as Sea Classics and Naval History Magazine which inform the general public. A respected scholar, Marolda’s advice has been sought by academic publishers to evaluate manuscripts considered for publication and as a book reviewer for prominent professional journals, including the American Historical Review, Journal of Military History, and American Neptune. To register for the dinner, go to our event page HERE or download and complete this order form. This is very impressive. I knew my cousin Jon was an amazing professor. After reading this article this goes way beyond impressive. I’m so proud to call you my cousin. Professor Sumida expressed his commitment to naval history as an undergraduate at University of California, Santa Cruz. I had the privilege to watch him write his senior thesis: a model of historical accuracy, original analysis, and the valuing of naval history. Jon’s subsequent work has honored the field. He richly deserves this distinguished award. Add me to the list of those for whom Jon set an example. George W. Baer, Chairman emeritus Department of Strategy and Policy, A. T. Mahan Chair emeritus of Maritime Strategy, U.S. Naval War College. You made the right choice designating Jon T. Sumida as the 2017 Knox Naval History Award Winner! He is a consummate professional, in every respect. His skill as a platform teacher is unparalleled. His mentorship and enduring encouragement for all his graduates is exemplary. His publications (books and articles) are cutting-edge, each one generated deep intellectual discourse and cross-disciplinary acclaim. In addition, he is a very thoughtful, considerate, and kind man. It was my great honor to study under Jon in the late 1990s and it remains my great privilege to call him friend for the past 20 years. Fair Winds and Following Seas, Prof. Sumida!